eDocEngine VCL support inserting attachments, adding additional pages and other content to the generated PDF when exporting reports. One of the many useful features of PDF, among others, is its ability to carry attached files, just as e-mail messages can carry attached files. Any kind of file and any number of files can be pulled into a PDF file. File attachment feature is used for attaching ZUGFeRD electronic invoice. 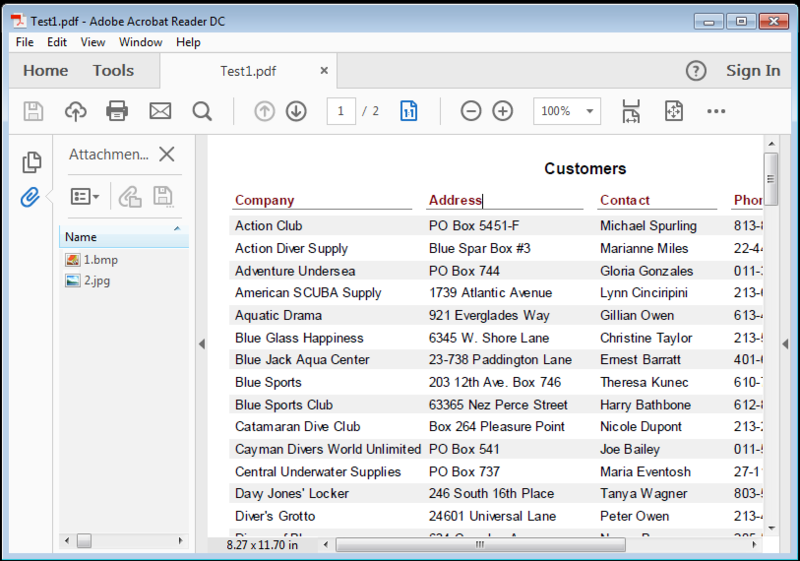 This feature can also be used to attach original editable versions of documents along with the PDF. When exporting reports programmatically, we use the RenderDocument method. RenderDocument exports contents from a specified report file to the specified format. This method internally calls the BeginDoc and EndDoc methods of the specified engine to start and end the document creation process. So, any calls to content insertion methods on the Engine before or after the call to RenderDocument are ignored by the Engine. There are two techniques to work with this behaviour of the RenderDocument method and insert additional content, such as file attachments, into the PDF being exported from reports using the RenderDocument method. Technique 2: Setting one or both of DoBeginDoc/DoEndDoc properties to False on the Export Interface, then calling BeginDoc/EndDoc on the linked engine object, depending on which property we have turned off, and placing the RenderDocument and additional code on the engine in between the BeginDoc/EndDoc calls. Below code snippets show how you can attach a file to PDF when exporting reports. Scenario 3: Adding New page when exporting QuickReport reports to PDF by handling OnAfterBeginDoc event. Scenario 4: Adding new page while exporting QuickReport to PDF by turning off DoBeginDoc and DoEndDoc of QuickReport Export interface. Scenario 5: Adding Image Watermark when exporting ReportBuilder reports to PDF by handling OnAfterBeginDoc event. Scenario 6: Adding Text watermark when exporting ReportBuilder reports to PDF by turning off DoBeginDoc and DoEndDoc of RB Export interface. 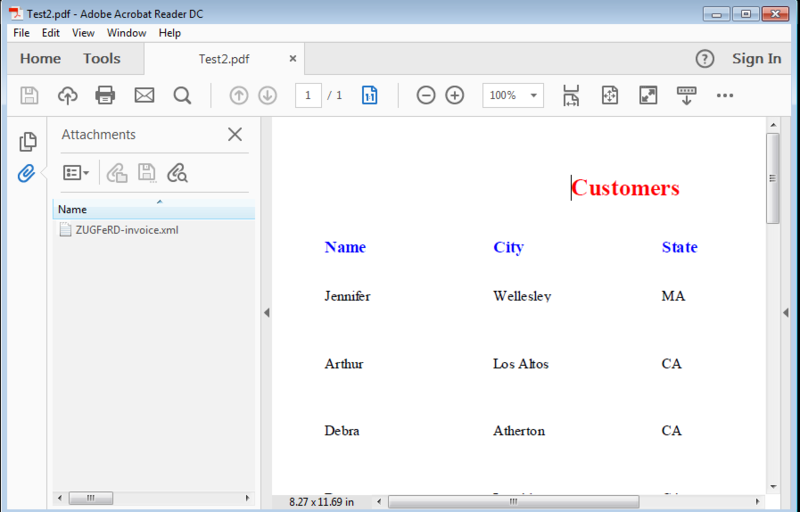 Using the techniques demonstrated in this article, you can add attachments, additional pages and other content to the output being generated as a report export operation. These techniques can be used with all of the supported reporting tools.